After the Israelites returned from Babylon, they came home only to be captives in their own land. Jesus spent his entire lifetime under the Roman occupation of Palestine, which lasted from 63 B.C.until 70 A.D. The Romans had captured large areas of the world which included most of Europe (stretching all the way to England), grain-producing parts of Africa (mostly Egypt), and almost all of the Middle East. These peoples came from different continents, different language groups and cultures, and different religious beliefs - they didn't even use the same table manners. But the Romans believed they could bring all these peoples into one functioning empire. They undertook huge construction projects, believing that the work of building together, as well as enjoying the new buildings, would bring everyone into one way of living together. Herod the Great built whole cities, as well as palaces, marinas, sewer systems, and the Temple in Jerusalem. 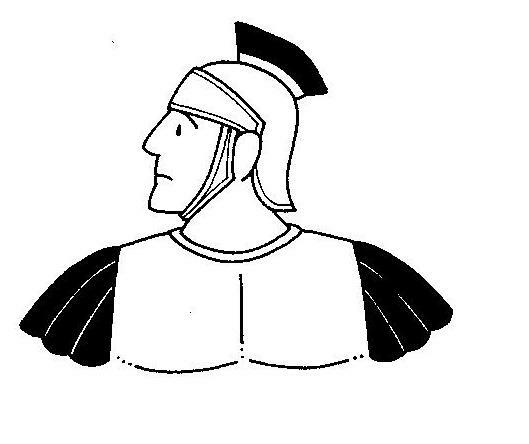 After retirement, Roman soldiers took their families with them to establish new outposts that would be ruled by by Roman citizens. The Romans not only adminstered law and justice, they also provided architects and designers. The official who asked for help from Jesus said that he had helped the Jews to build a synagogue. The image of Caesar Augustus' face was on Roman coins. Because Jews could never make a portrait of anyone under Jewish law, Jesus' followers knew that the Romans controlled the money supply. Latin was the world-wide business language at that time, but schoolboys also learned Greek, which was the language of ideas and discussion. Modern Rome is now the capital of Italy, where people speak Italian today. Modern Israelis have come home to Israel under the Law of Return since 1948. They speak modern Hebrew, and Tel Aviv is their capital. Modern Palistinians are Christians or Muslims, and they speak Arabic.